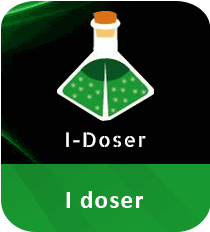 I-Doser is an advanced binaural dosing program to help you achieve a simulated mood and experience. The application offers binaural audio capabilities for listeners to create a specific mood. The media player for PC flaunts a clean and user-friendly layout that doesn’t conceal any complex configuration settings. Using its main panel, you can make a list with your favorite doses and control all of them with its Dose Library. I-Doser includes audio tracks in .DRG format which are known as ‘doses’. Most of the sound files in it are generally 30-40 minutes long and are designed to focus on simulating a particular mental state using binaural beats. Available as a free audio/video player for Windows, it scientifically syncs your cerebrum for attaining a mood as outlined by the dose you’re having. For this purpose, the brainwave software utilizes binaural beats. Download I-Doser to experience the power of binaural brain dosing. You can enhance your meditation, yoga, kundalini, chakra, or other spiritual practices with this Windows software. It offers an avalanche of brainwave doses that you can use to control all aspects of human mood and emotion. The free version of I-Doser includes 3 doses namely Alcohol, Content, and Sleeping Angel. With this home healthcare software, you can get detailed information about each dose, including name, time duration (in minutes), and the state that is induced for the current dose. Apart from this, you can also see the drugs’ names that offer the similar affect as audio doses. I-Doser for Windows is a handy audio player to alter your mood with the help of brainwave doses. You can control sleep, dreaming, lucid dreams, and REM using this software. Thanks to its user-friendly feature pack, the multimedia application can be operated by all kinds of users despite their computer skills.